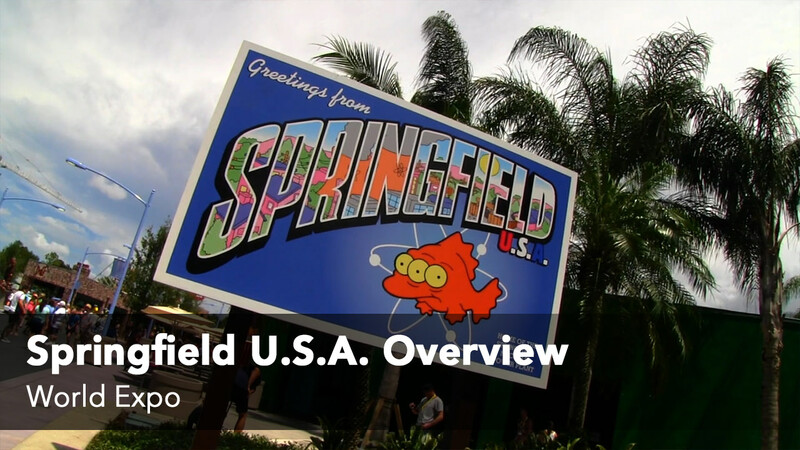 Dining options in World Expo are limited to the Springfield U.S.A. section of the area, but limited is the worst way to describe how many places there are to eat. 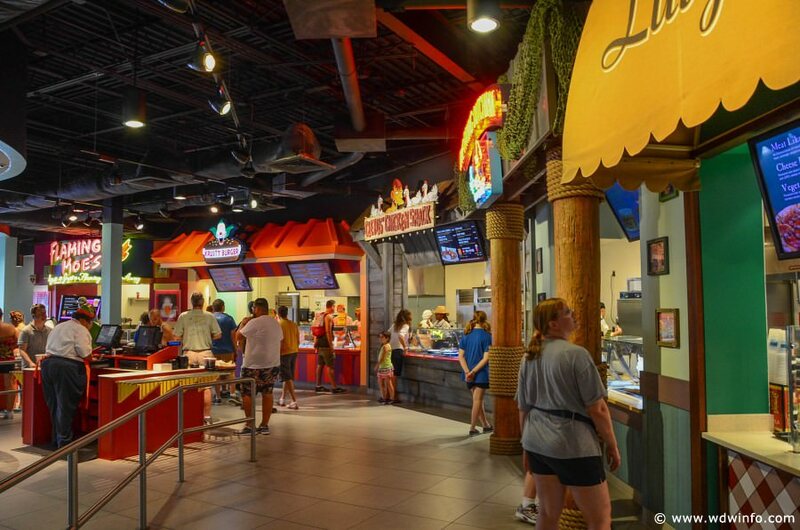 When The Simpsons area went through an expansion in 2013, Fast Food Boulevard was added increasing available dining by adding a miniature food court including Krusty Burger, Cletus’ Chicken Shack, The Frying Dutchman, Luigi’s Pizza and Lisa’s Teahouse of Terror. Outside, donut and ice cream fans will drool over Lard Lad Donuts, while taco lovers won’t be able to skip over Bumblebee Man’s Taco Truck. 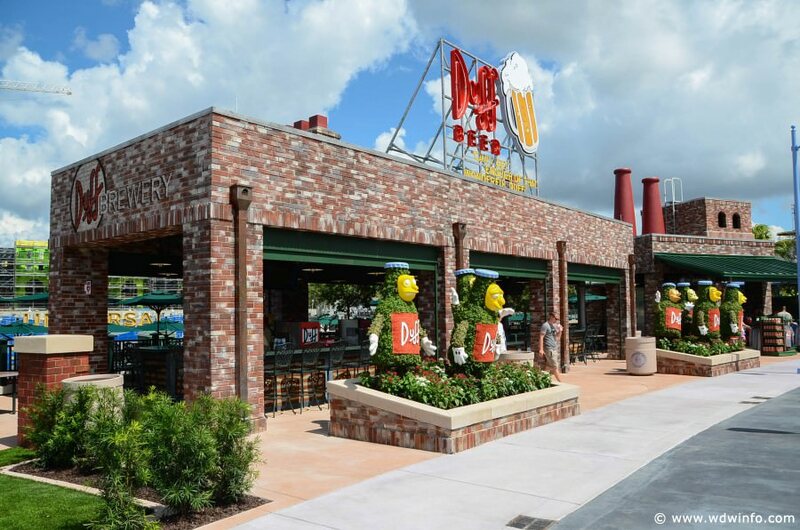 For beer drinkers, step inside Moe’s Tavern for a Duff or sit outside at Duff Gardens. 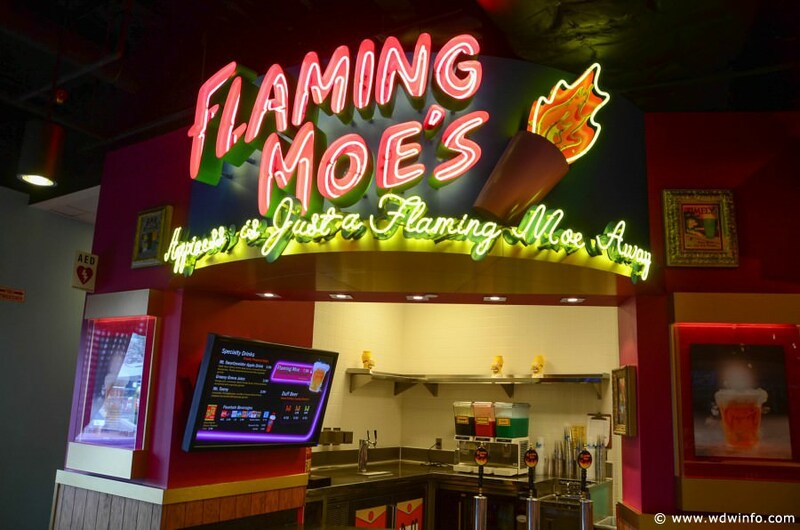 If you stick to non-alcoholic drinks, try out Flaming Moe’s. 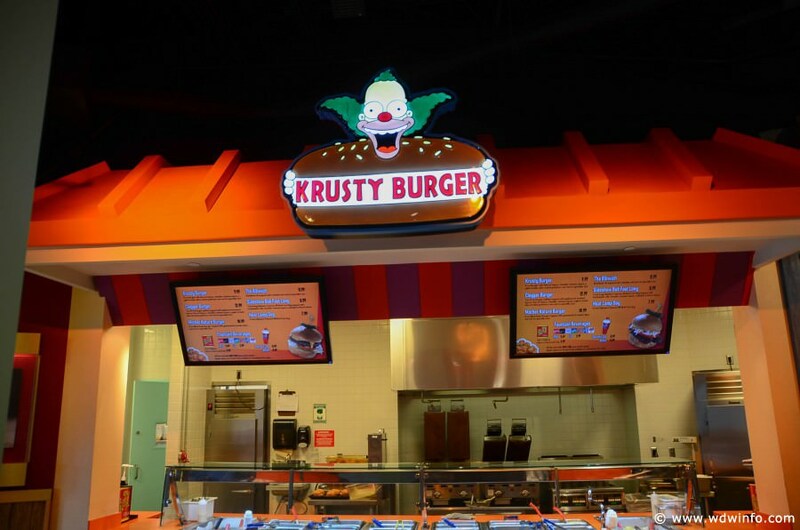 Krusty Burger offers everything you’d expect it to including the Krusty Burger, the Clogger Burger, the Mother Nature Burger, The Ribwich (no need to travel the all over the country anymore just to find this delicacy), the Sideshow Bob Foot Long and the Heat Lamp Dog. 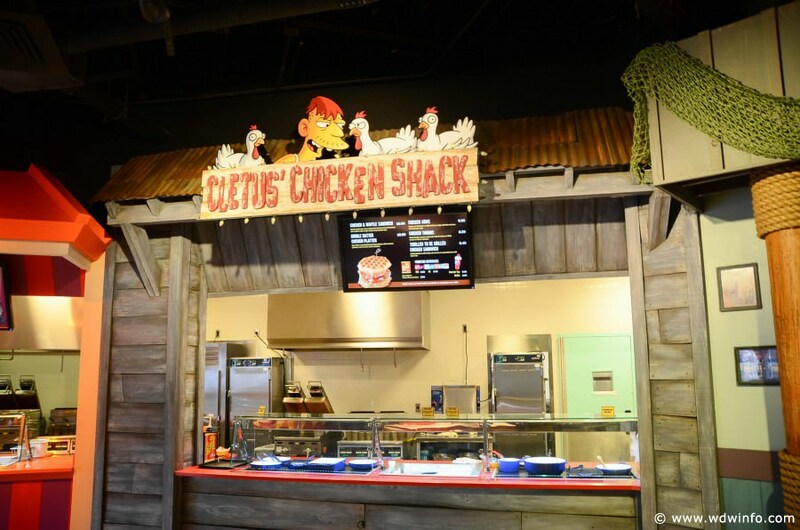 Cletus’ Chicken Shack, a restaurant created specifically for Springfield U.S.A. offers one of the best creations Universal has come up with – the Chicken & Waffle Sandwich topped with a maple syrup mayo. If that doesn’t sound appealing then you have the other chicken options such as Chicken Arms, Chicken Thumbs, the Double Batter Chicken Platter and the Thrilled To Be Grilled Chicken Sandwich. The Frying Dutchman is the perfect place to go for all of your seafood needs including their Basket O’ Bait which features their Battered and Plattered Fish, Shrimp and Calamari. 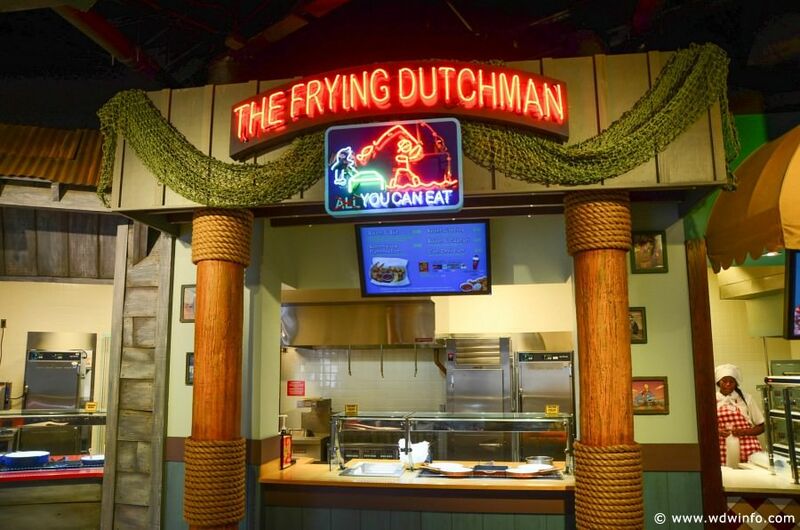 On colder days, try the Clam Chowd-arr, but be warned – The Frying Dutchman is no longer All You Can Eat. 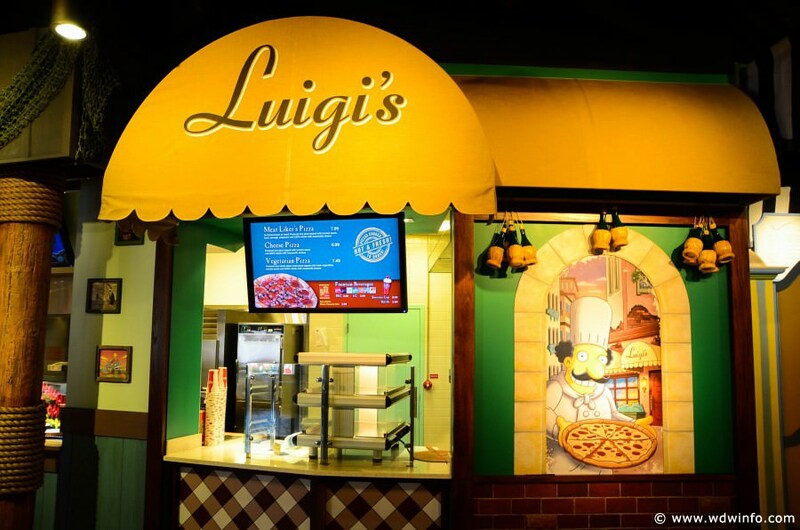 At Luigi’s, you can choose from three different pizzas – Vegetarian, Cheese, and Meat Liker’s for the person who doesn’t love meat, but just likes it. 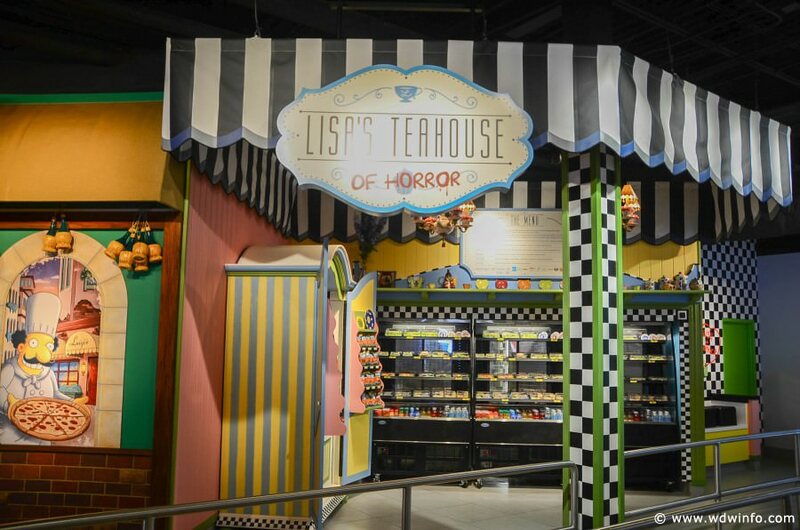 Lisa’s Teahouse of Horrors offers salads, hummus, and other healthy alternatives. 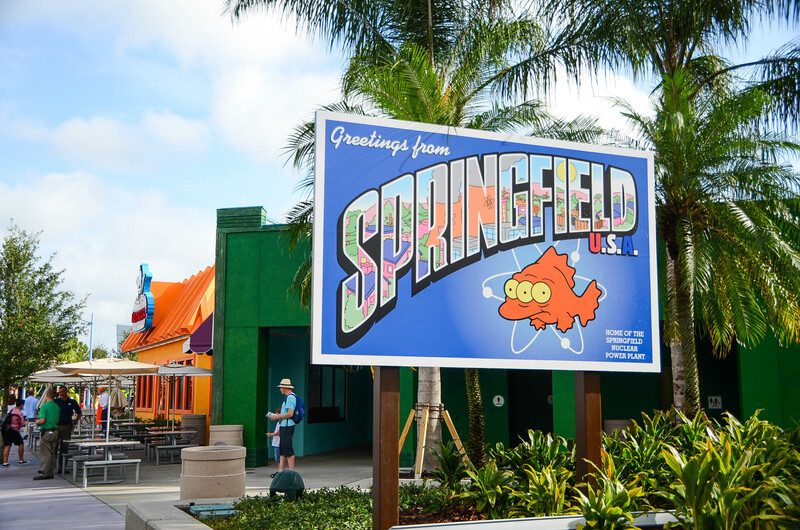 At this stand, you can purchase the Universal exclusive Flaming Moe beverage, although you won’t find random leftover alcohol and children’s cough syrup in this bubbly, orange-flavored drink as well as Duff, Duff Lite, and Duff Dry Beer and Buzz Cola. 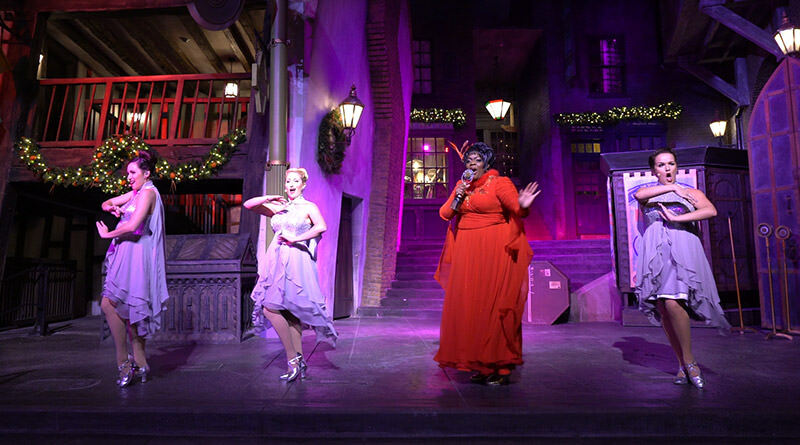 Moe’s Tavern transports you straight into the television show. Fans of the show will recognize Barney in the bar as well as the Love Tester, the telephone Bart prank calls and more hidden gags. If you’re thirsty then sit down and have a Duff, Duff Light or Duff Dry. Buzz Cola and Flaming Moe’s are also available. 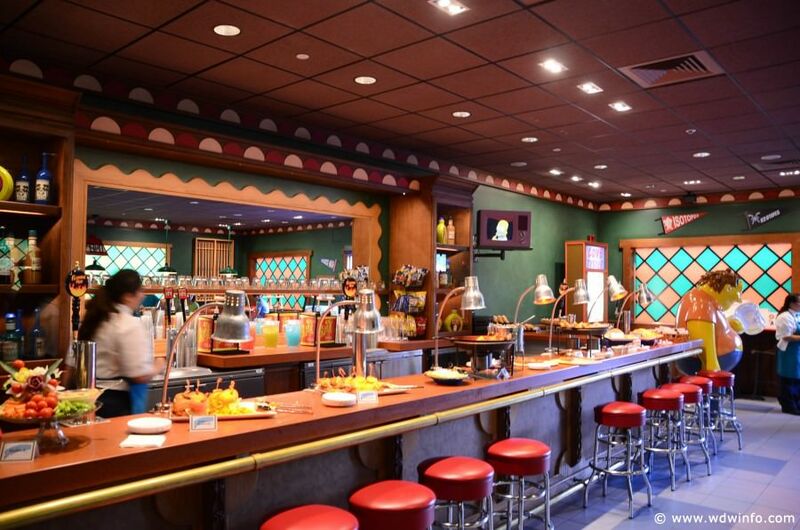 Duff Gardens is an outdoor bar area that offers everything that you can get inside at Moe’s Tavern, with a nice relaxing view of Springfield and the rest of the park. 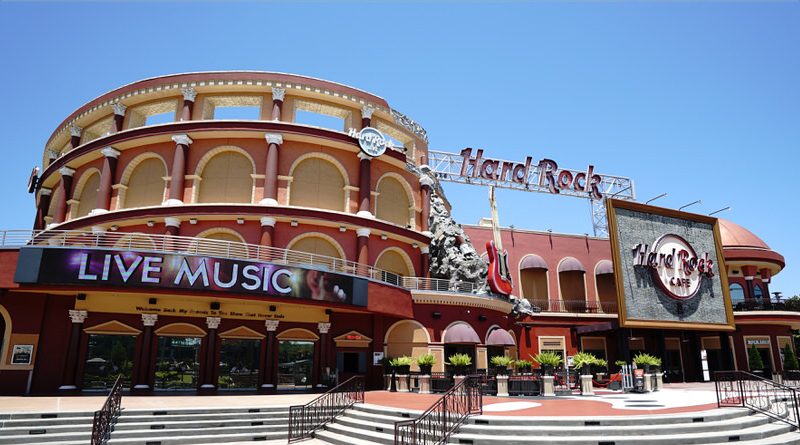 There is even additional patio seating below Duff Gardens that doubles as seating for Universal’s Cinematic Spectacular. 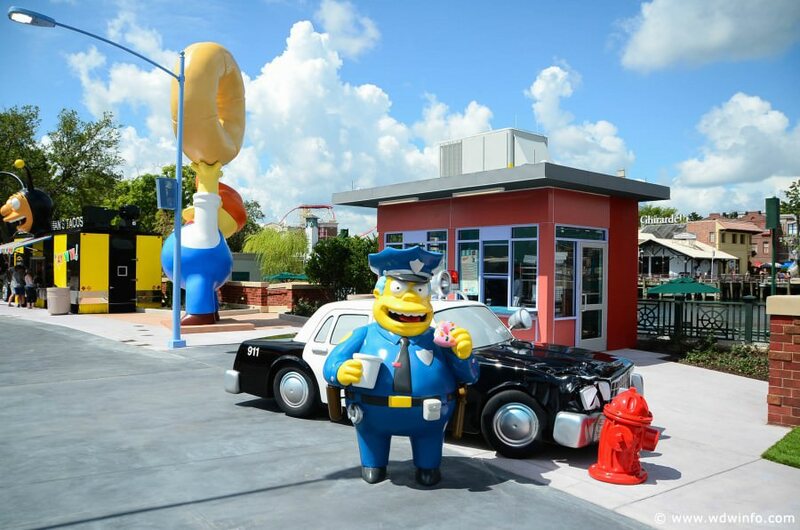 Breakfast just got better with the addition of Lard Lad Donuts, including the 20-foot tall Lard Lad Donut man. 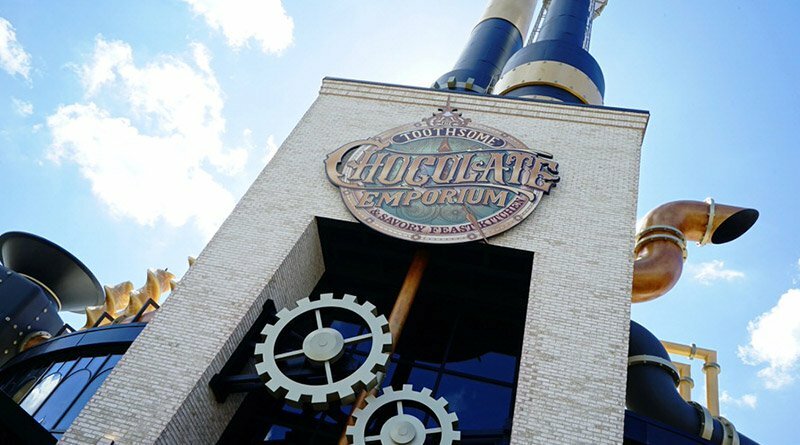 Here you can purchase a variety of donuts, but the ultimate one to get is ‘The Big Pink’ donut. The donut is approximately 9-inches in diameter and comes covered with pink frosting and sprinkles. 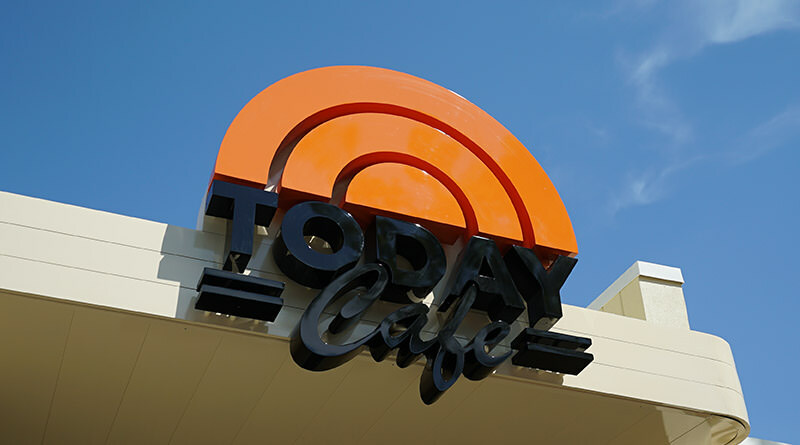 Later on in the day, stop by for ice cream. 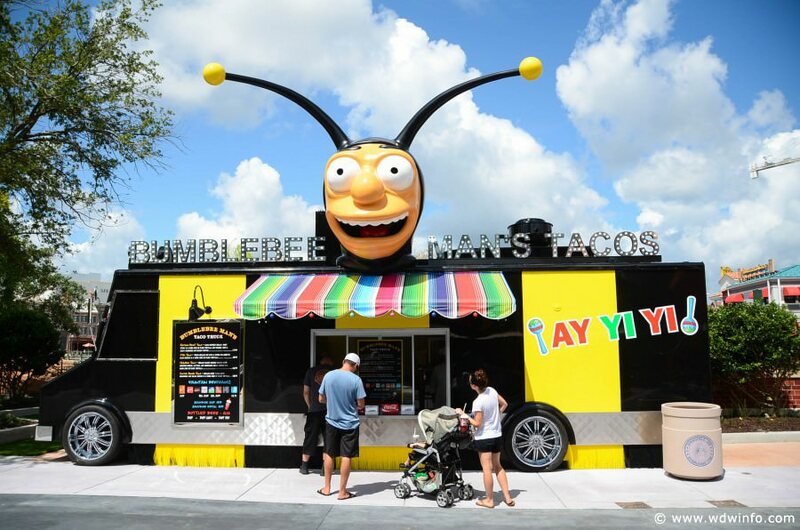 Bumblebee Man’s Taco Truck offers four different types of tacos – Korean Beef, Fish, Chicken and Carne Asada on a soft flour tortilla served with a side of tortilla chips.